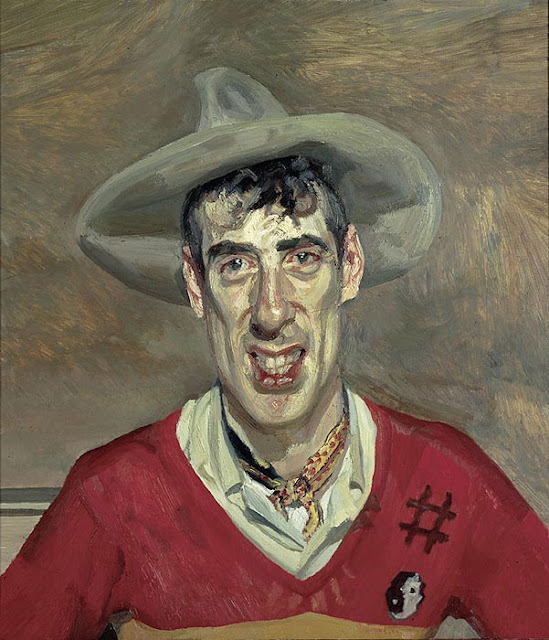 Lucien Freud (1922 - 2011), Sigmund Freud's grandson, moved to England in 1933 with his family to escape the rise of Nazism, and became a British citizen. Nowadays Lucien Freud is one of the most expensive contemporary artist. Lucien Freud's subjects are often the people in his life; friends, family, fellow painters, lovers, children. As Lucien Freud has said "The subject matter is autobiographical, it's all to do with hope and memory and sensuality and involvement really". "I paint people," Lucien Freud says, "not because of what they are like, not exactly in spite of what they are like, but how they happen to be."